Bicycling for Louisville and Metro Parks & Recreation sponsoring bike parking on Thursday, Friday, and Saturday. While we all love the Kentucky Derby, getting there is usually a challenge. That’s because Louisville isn’t exactly set up to efficiently handle large events. The city relies on cars, and when you have hundreds of thousands of people trying to all get to one place in automobiles, it’s a recipe for disaster. Luckily this year, you’ve got another option. 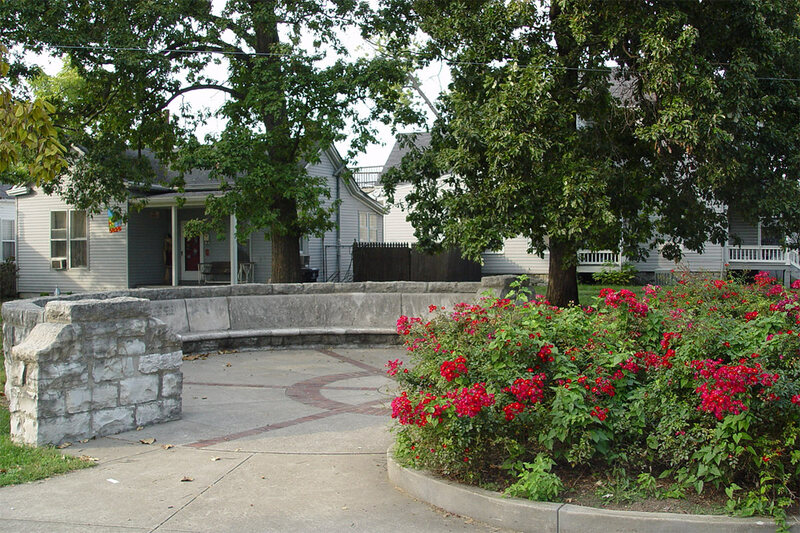 Bicycling for Louisville is teaming up with Louisville Metro Parks & Recreation to offer 300 free bike parking spaces at Wayside Park, a triangular sliver of green space right next to Churchill Downs at 3190 South Third Street. Parking will be available on Thursday (Thurby), Friday (Oaks), and Saturday (Derby). There’s one small catch, though. The bike parking lot will not be monitored and the city says you’re on your own if your bike is damaged or stolen. So bring a good lock. 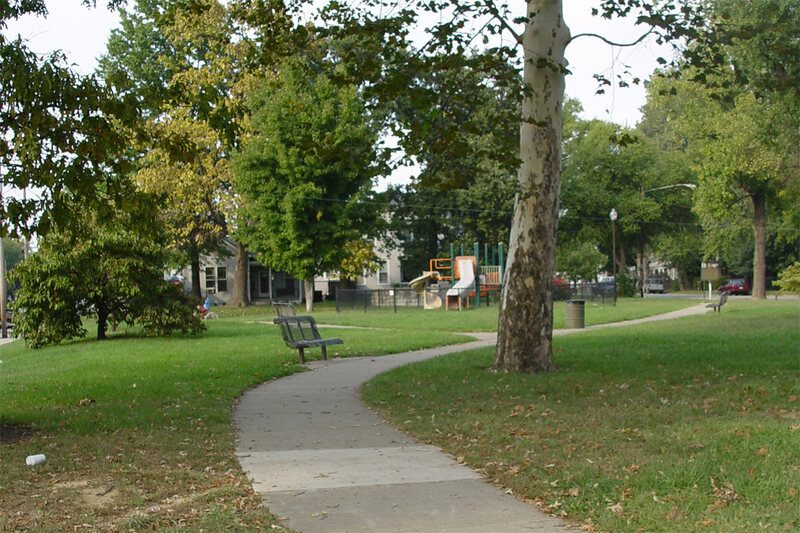 Wayside Park, one of Louisville’s original Frederick Law Olmsted–designed parks, boasts a unique bike tie-in from the 19th century. Back on October 8, 1897, when cycling in Louisville was all the rage, the park played host to the Cycle Carnival, a bike parade an estimated 10,000 cyclists strong and watched over by a 50,000-person crowd. The Cycle Carnival began at Third Street at Broadway and made its way south past Wayside Park all the way down Southern Parkway to Iroquois Park. According to a historical marker in the park, the scene was quite a spectacle, with many cyclists in costume including ladies in bloomers, and cannon fire along the route. 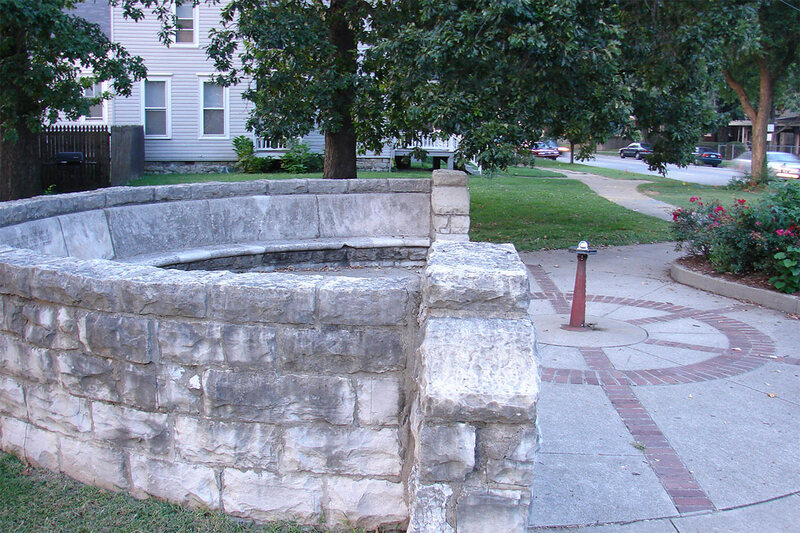 That same year, the Kentucky Division of the League of American Wheelmen built the park’s iconic Ruff Memorial Wheelmen’s Bench, a half-round stone seat with paving evoking the spokes on a bike wheel and a drinking fountain in the center. A marble fountain was also included. The bench, designed by sculptor Enid Yandell, was a memorial to the division’s oldest member, A.D. Ruff, who died the previous year. In 1893, Ruff had cycled to Yellowstone National Park, no small feat. Join Wayside Park’s storied cycling history this Derby with the introduction of free bike parking on Thursday, Friday, and Saturday!